Gender Reveal parties have quickly become a popular trend among consumers. And being a company that specializes in kids, Mud Pie finds it fitting to share our fun ideas for the exciting reveal. Let’s be honest – people love getting ideas from their favorite stores. It’s where they turn to when they need gifts or décor. 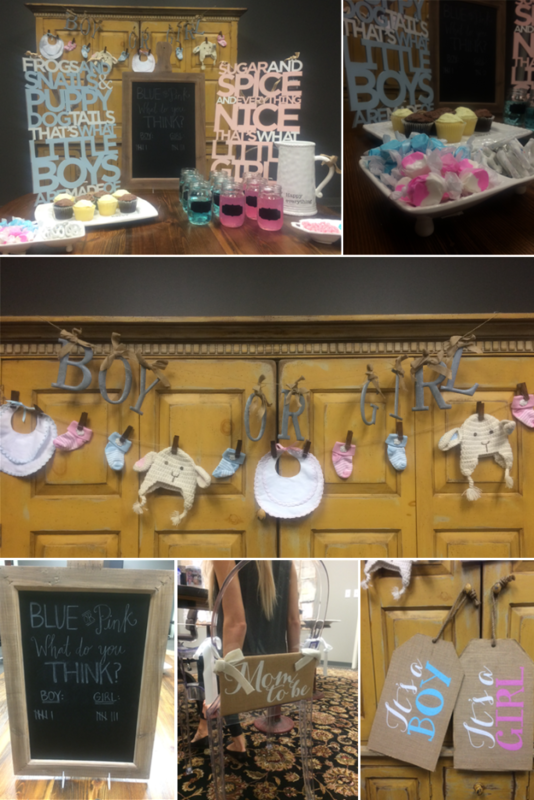 Retailers have the opportunity to create a beautiful “boy or girl?” display as a way to spark conversation and engage consumers. 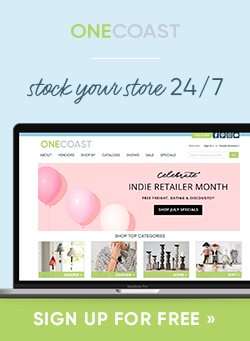 To celebrate #IndieRetailMonth – thank you for all you do for us! 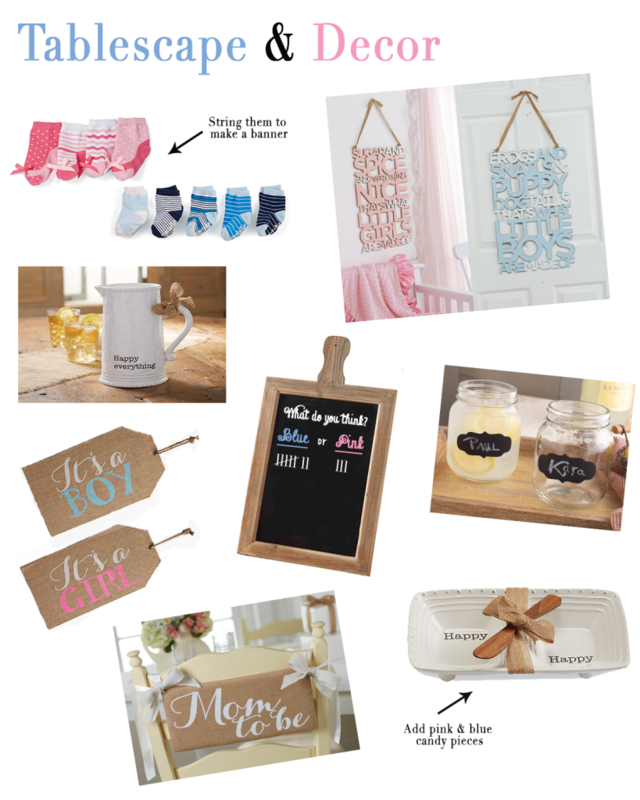 – we are sharing our picks to create the perfect Gender Reveal party display. 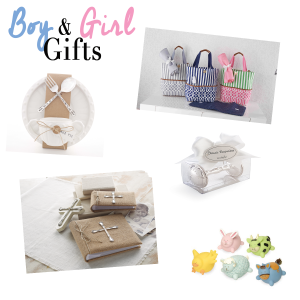 We are covering everything from tablescape and décor to nongender specific gifts. The table layout and décor should include a plentiful amount of pink and blue! What about cutting out cardstock and making questions marks in the two colors to place around the items? Or getting fun confetti to throw on the table? And you can never go wrong with balloons! 1. One of our favorite ideas is using our socks (which support March of Dimes) and stringing them together to make a banner. What a unique way to showcase an item! And who wouldn’t go crazy over little feet? 2. Our Frogs & Snails Word Art Hanger for boys and Sugar & Spice Word Art Hanger for girls add a special funny touch to the display. They are something that can go home as a gift once the gender of the baby is revealed. It’s a win-win kind of item! 3. The Happy Pitcher can be filled with pink or blue lemonade! It is also a simple, yet fitting for the occasion. 4. The Large Chalkboard Paddle is a fabulous way to get customers involved with the display. Leave chalk out by it for them to give a fake tally on if it’s a boy or a girl! Props if an actual employee is pregnant…you can keep the game going on all month! 5. Our Chalkboard Jars are great for serving the pink and blue lemonade mentioned above. Customers would love a refreshing drink to cool down from the summer heat. Not to mention, everyone could write their favorite baby name on them for another fun game! 7. To go along with the Happy Pitcher theme, throw in the Happy Mini-Section Server Set. Your consumers can enjoy pink and blue treats, like M&M’s or Jelly Beans! On top of décor, we think it’s important to include a list of gifts for both boys and girls. Consumers may not know what type of gift to bring before knowing the gender of the baby. (That can be confusing!) But as a retailer, you can showcase gifts that could be for either! Below are our nongender specific gifts that are thoughtful to bring along to the party. Get creative and show how the diaper bag can be used for wrapping the gifts! Thanks again for all you do! We continue to grow because of our loyal retailers. During the month of July, we want to share YOU! If you have a gender reveal display, or any Mud Pie displays, post them using the #MudPieLocal. We will be reposting photos on our social media channels! Happy Independent Retailer Month from your Mud Pie family! Looking for some more inspiration? We included some of the suggestions (listed above) here for you to see! Aren’t they just wonderful? 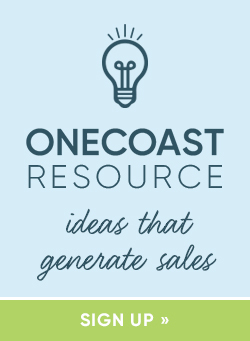 This article was written by Mud Pie for the OneCoast Blog. Share the post "Gender Reveal Party, Mud Pie Style"